Okay so a reminder that I'll be In Missouri next weekend for the Alley Oop panel event, looking forward to that. Also I have a new comic finished that I teased last week. It's another in the Cast Of... mini's that I've done, the Cast of the 2008 Beijing Olympics. I don't have this up on my website quite yet, but anybody interested can email me and order it. It's 16 pages long and has a full color hand cut cover for $2.00. This is kind of a new style of drawing for me, It's the same profile type drawing that I've used for a while in BlackStar and Burning Building, but to get the likeness' down better I'm also doing more of a caricature. In this comic, you get 16 of them, along with stats and a list of the events they won medals with, a must have for any Olympics fan! I also wanted to mention that a few weeks back Burning Building Comix #3 was reviewed by Whitey over at Optical Sloth. You can check it, and all of Kevin's Mini-Comic reviews here. Thanks Kevin! Oooo! 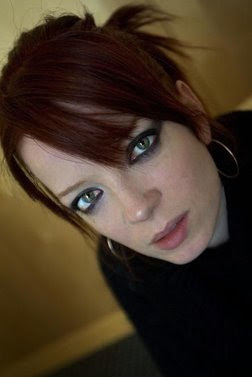 I almost forgot to mention that every Shirley Manson fans should watch the season premier of Terminator the Sarah Conner chronicles! Keep posted here for reports on her charismatic sexuality.